Oh, I see. 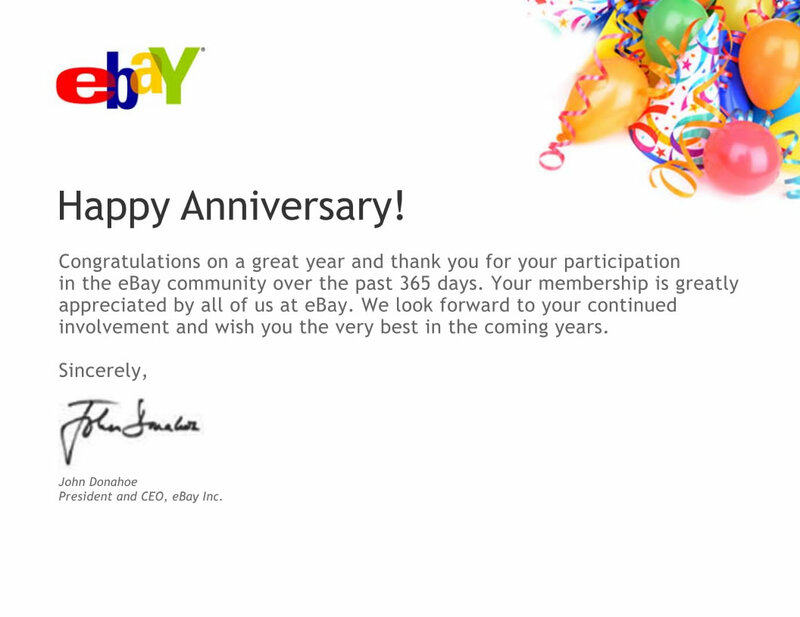 It’s just a generic “Thanks for another year on eBay” certificate. Well, that does make it much less cool but I guess you can’t be expected to pay a little special attention to someone who’s been active on your marketplace as long as I have. I guess I only deserve as much attention as someone who’s been on the platform for a year. That seems fair. I feel valued. But… can I just… The way this is written? It sounds like you guys are like “You’ve been selling on eBay for 15 years! Thanks for those last 365 days.” In other words, you’ve been around for 15 years and were a drain on society but this last year’s participation is the first time you’ve been worth thanking. But we’re only thanking you for that last year. Don’t go getting a big head about it or anything. Those other 14 years? Yeah, you were crap. Also… would it have killed you guys to mail merge my name on there? A username? I’m not picky and I own Photoshop but, geez, guys, it HAS been 15 years. At least pretend you personalized it. Lastly, can someone please buy John Donahoe a better scanner. That is the most pathetic pixelated signature I’ve ever seen and he seems to have signed it with a Crayola scented marker (licorice , naturally). Get him a nice pen while you’re at it. I’m confident that you can find both of these things on, oh I don’t know… how about eBay? So, good effort, but I only give this whole 15 year celebration 3 DSR stars for “nice” and not “very nice” or “extremely nice.” You’ll probably take a search placement hit for this, guys, but at least your shipping was free so there’s that. In other news, God help me, has it really been 15 freaking years since I started this? Good grief! Of course customer satisfaction is down. Everyone’s satisfaction is down!